This recipe is brought to you by one of my favorite blogs, 12 Tomatoes. 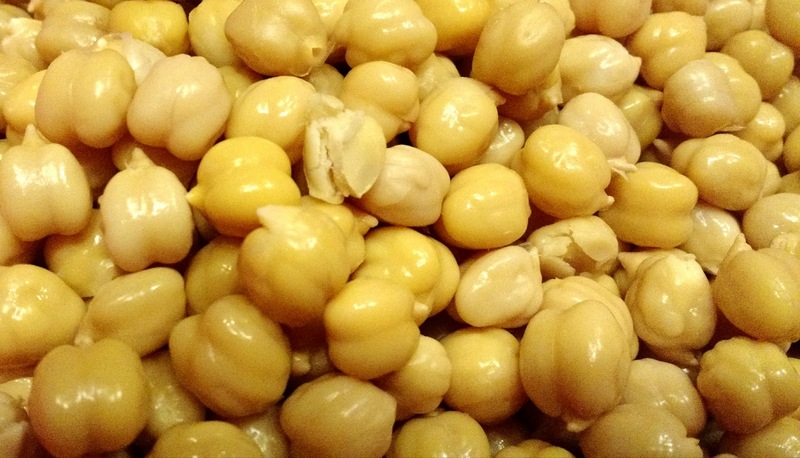 Chickpeas are a pretty good source of protein, potassium, and fiber, and they are low fat — perfect for snacking on. Want to spice up your party? 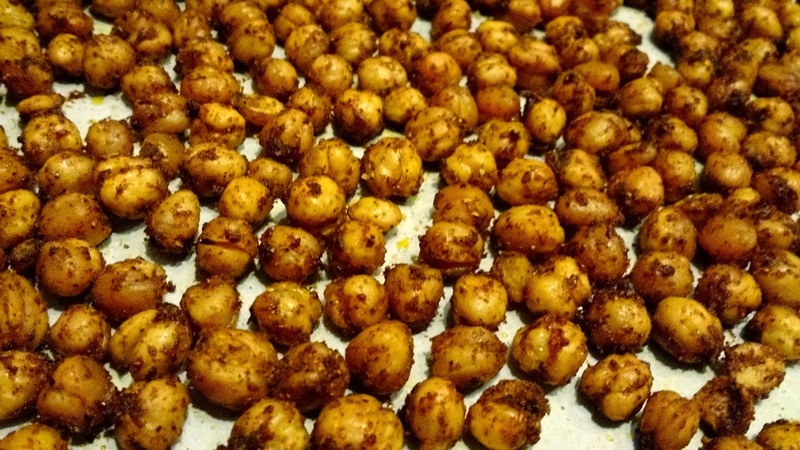 Try these as a substitute for chips or popcorn (or alongside them, if your party guests are not super health-conscious). I made this recipe while a few of my friends were over, which meant that I had to stop what I was doing every five minutes to make a snarky comment. I started with step two, because I always take way longer to prep than the oven takes to preheat. 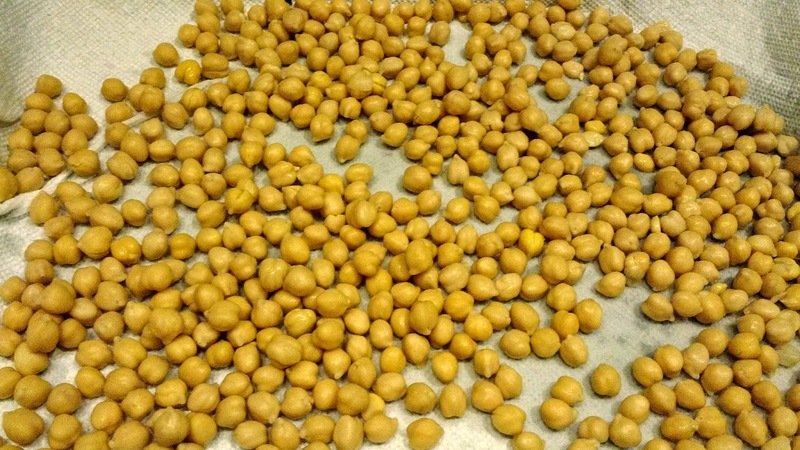 I lined the pan and started draining the chick peas. Have I ever mentioned how bad I am at tearing parchment paper? Really bad. 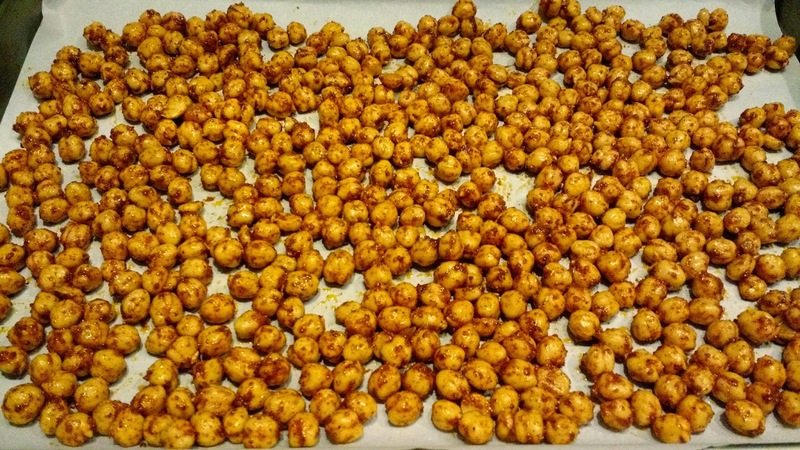 Apparently, I’m also bad at skinning chick peas. The recipe says to rub them between two towels to remove the skins. Yeah right. I couldn’t get that to work, so I stood there for 45 minutes peeling them by hand, one by one. Fortunately, it didn’t take too long for me to figure out how to peel one in each hand by squeezing the chickpea out of the skin. Eventually, they were all peeled and ready for the next step. Now is probably a safe point for me to preheat the oven. I started to add the spices, and all was well until I got to the last one: cayenne pepper. It turns out I didn’t have any. Fortunately, one of my friends heard my woes emanating from the kitchen and hopped to the rescue. Another friend tossed him a set of car keys, and the rescue mission began. The benefits of living near a college campus and having friends who cook is that, if you are out of a spice, there’s a good chance someone else can spot you for a pinch. Back to work, with all the spices added, things looked and smelled pretty tasty! After everything was mixed, I spread it out on the parchment-lined cookie sheet and popped it in the oven for 40 minutes. 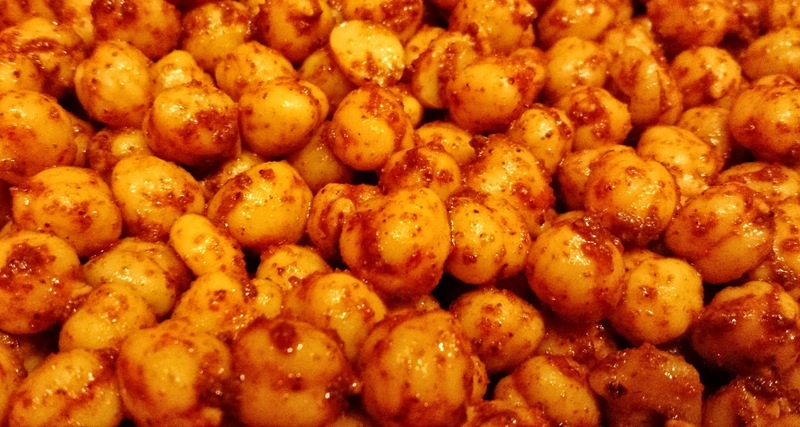 As they baked in the oven, the apartment filled with the most delightful curry scent. That sweet-spicy smell that nothing else can quite compare to. I couldn’t wait to taste them. 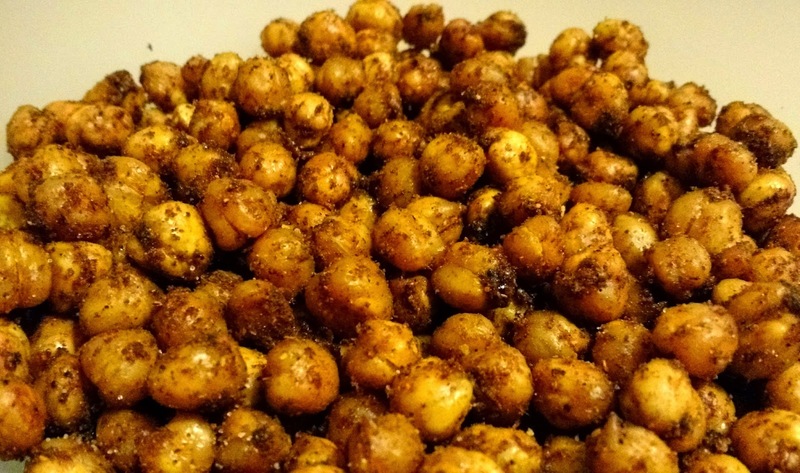 Apparently, when they come out of the oven, the chickpeas are prone to popping, so keep them away from a ledge and keep bare skin away from the little hoppers. They cool really quickly and, in the process of cooking, shrink to about a third of their original size. Don’t forget to season them with salt (and maybe a little bit of sugar to really bring out the curry) when they come out of the oven, and enjoy (they’re really, really good)!